Sometimes, it’s all just a matter of perspective. Sometimes. But not always. In Exodus 4:10, Moses was trying to convince God that He had the wrong man for the job of convincing Pharoah to let the Israelites go. I can hear the fear in Moses’ voice, and to my ears it’s bordering on panic. He just knows that he cannot do what God has called him to do. He knows his weakness and his limitations, and they do not fit the job description. What Moses apparently did not know, was the power of God, and what would be said of Moses many generations later. When we try to help people learn what their calling from God may be, what their place in the Body is, we often ask them “What are your strengths and weaknesses?” Then we focus on their strengths, because for some reason we think that’s God’s focus. It isn’t. It never has been. God uses our weakness far more than He uses our strength. Our weakness keeps us close to Him, causes us to depend on Him. But mostly, our weakness causes God and His strength to be evident. It is His glory revealed when we do what we are called to do in our weakness. Our strength does the opposite. Moses knew his weakness. God said “I will help you”. 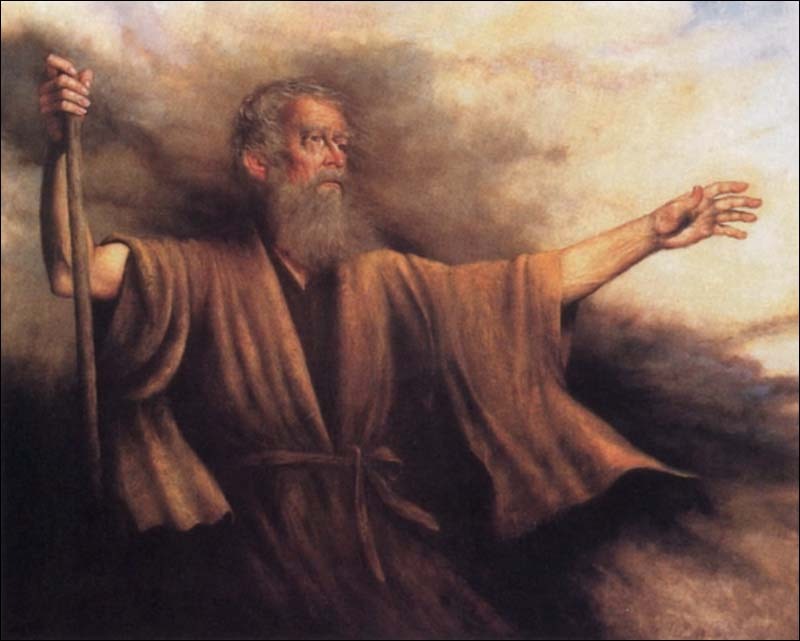 Generations later, listen to how Stephen describes Moses. Perspective? Or is it what a weakness becomes in the hand of God? I’m so glad he uses us in our weaknesses… otherwise, there is not much else for Him to use. Very true Brad, at least in my case! So, so good and so, so encouraging…. lol! Don’t worry. He’s most likely already used you many times, and you just don’t know it. Stay weak my friend, stay weak. I believe that…I just haven’t figured out how God wants to use a broken vessel such as myself..but when I do. LOOK OUT…I will shout YES. YES. USE ME.